As you may have read in my post about Antiquing in the Neighborhood I have a kitchen remodel in my future. While this will probably not happen for at least a couple years, I've still been gathering inspiration. I am in love with the idea of a copper and mint kitchen. Here are some inspirations. None of these photos are mine. I've cited the sources where I could. 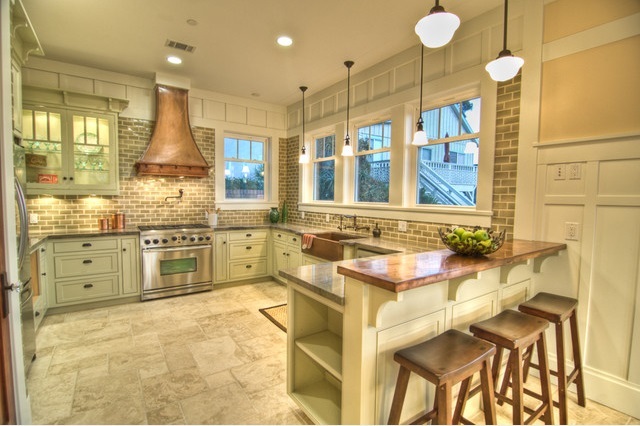 The copper pans are a beautiful way to accent this kitchen. I love the copper farmhouse sink. Love the white and the different shades of green. 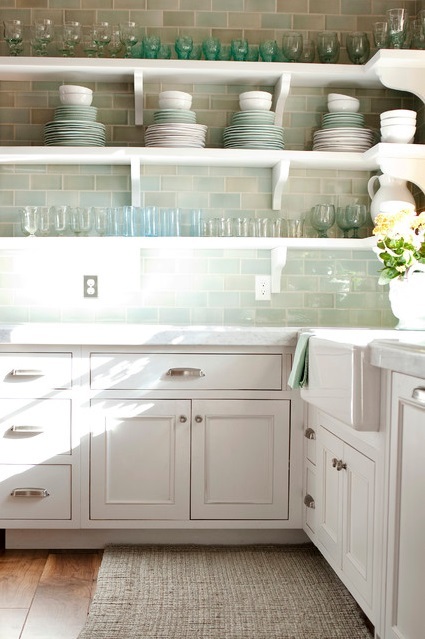 Love the open shelves and the color of the subway tiles. 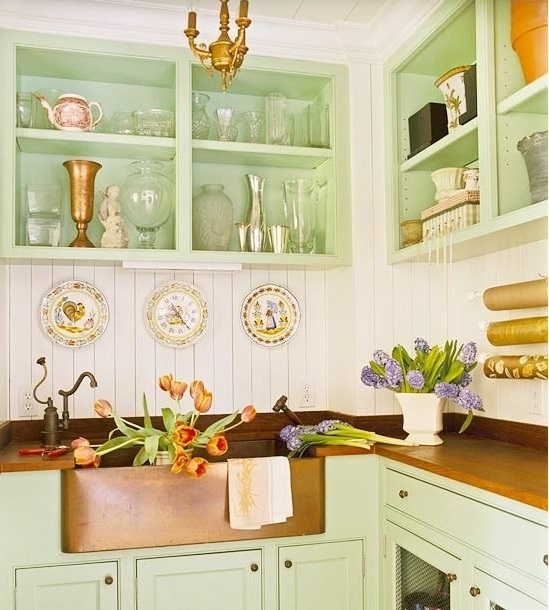 And although there is no copper in this particular decor, I think it can easily be added to this color scheme. The copper hood and bar top are lovely. I love the green subway tiles. 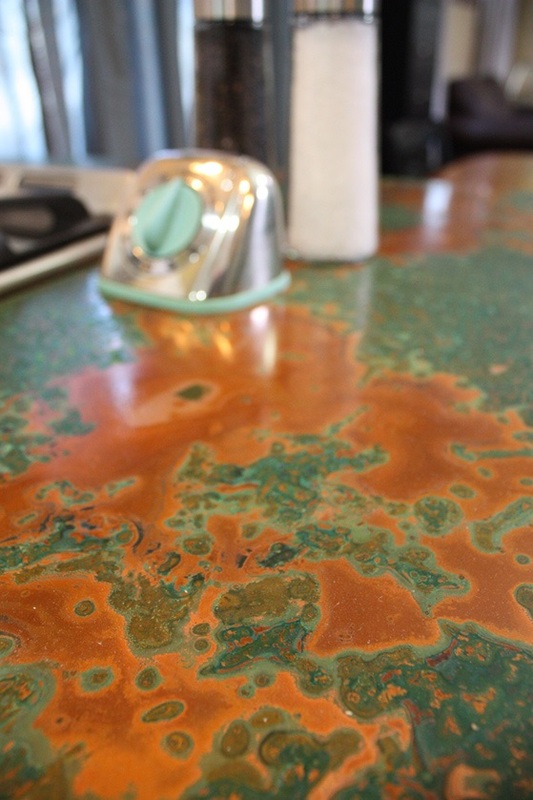 Love the copper patinated looked of this countertop. 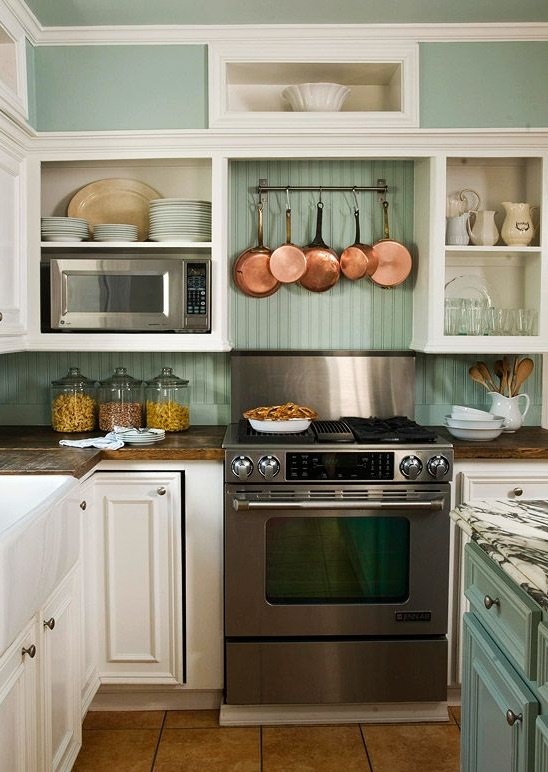 Over the next few years I will be collecting copper accents for my future kitchen. My first piece is the copper tea kettle I found at the antique store in my neighborhood. Here is it again if you missed it before! This was exactly the post I needed as I plan to add some mint to my kitchen (don't tell anyone, you know I like keeping my readers in the dark!). I'm emailing that post to my mom, who just can't understand when I talk to her about "mint". Ooooh, Love your inspiration photos for a new kitchen in your future! Hi there Khammany, Chrisitne visiting from Little Brags...signed up to follow you as well. Love the kitchen inspiration! Hi Christine! Thanks so much for stopping by and for following! So glad to be a part of your blog circle! Have a great evening!